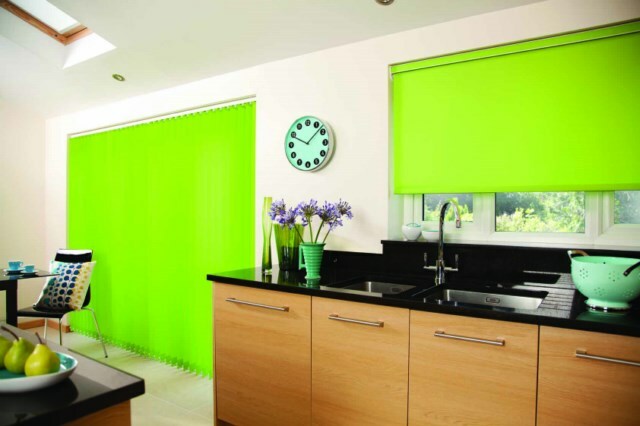 We have a vast range of interior blinds available. 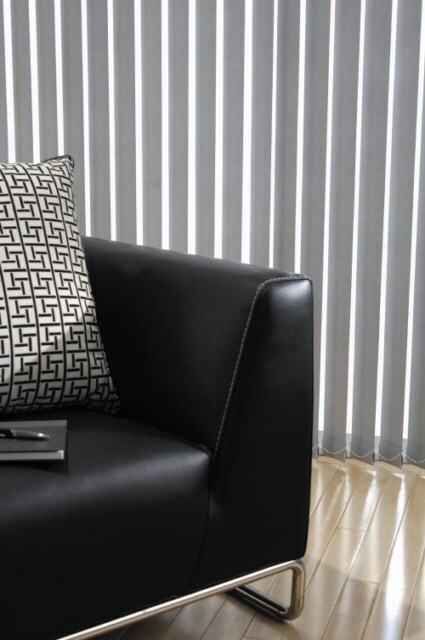 All our systems are custom made to give the perfect finish to any window. 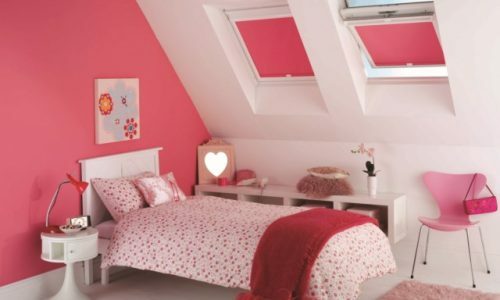 For child safety they are now available as battery operation or electric operation. 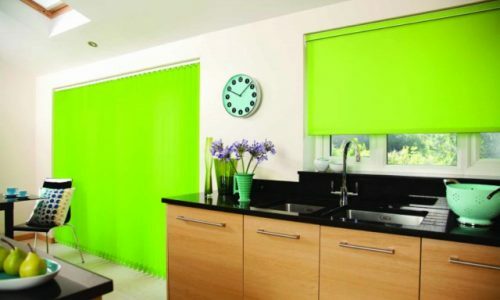 These blinds provide privacy when required, they allow you to have a clear view if fully pulled back or you can tilt and allow limited light. 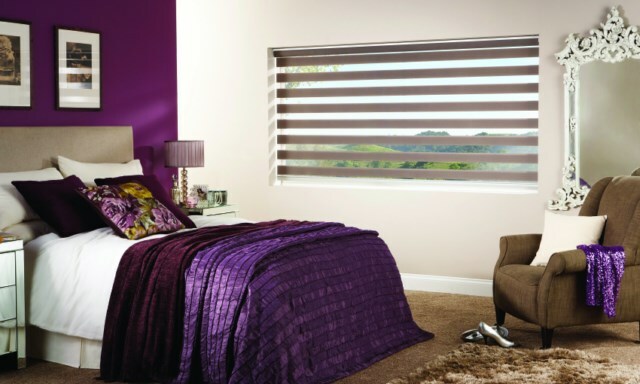 With white or anodised coloured head rail and matching components. 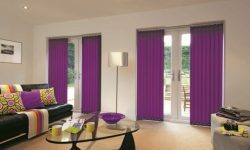 A full range of Vertical fabrics are available including Blackout, Fire Retardant and Solar Reflective. 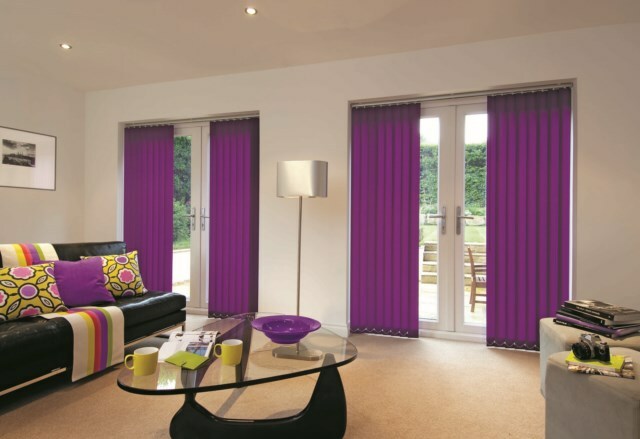 Single widths up to 5m. 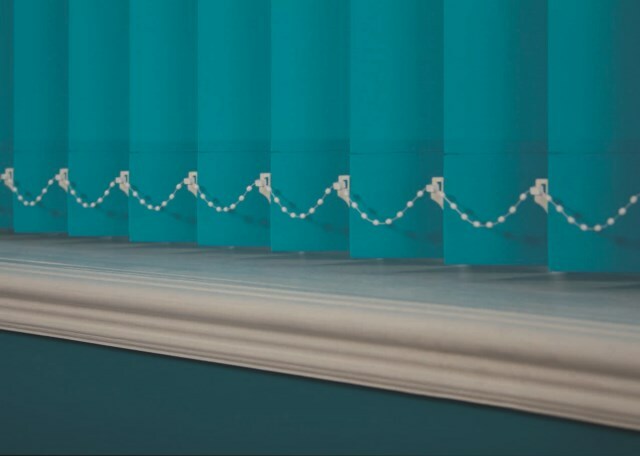 High quality side chain operation Roller Blinds with metal chain and aluminium tubes. 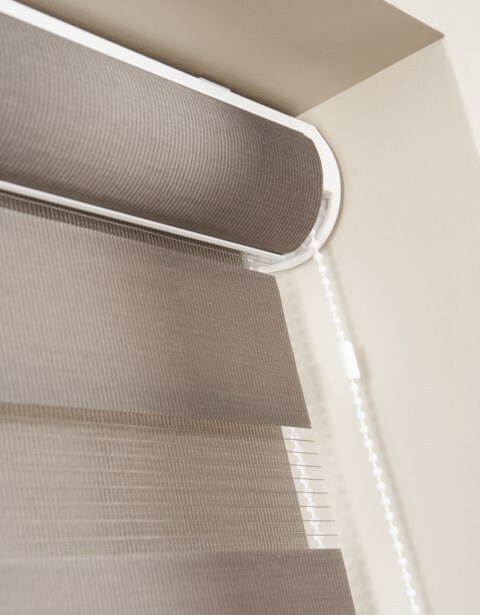 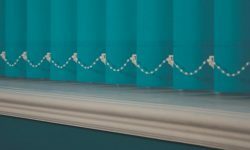 Tube diameter and chain mechanisms are increased in size depending on the width and weight of the fabrics chosen; this ensures no sagging and a smoother operation on blinds up to 4m wide. For commercial applications we have a Heavy Duty side chain system or a crank handle operation Roller Blind. 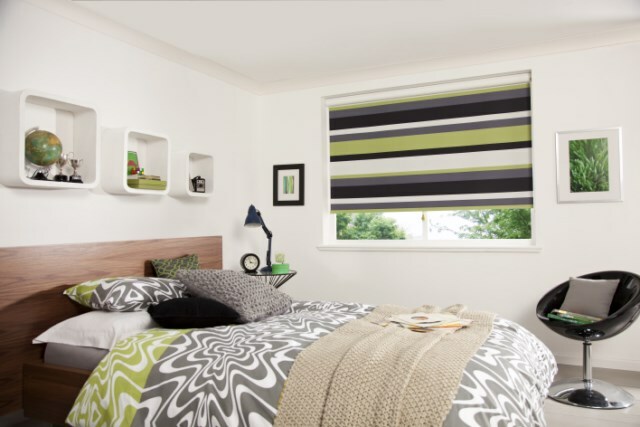 These work well with Blackout and flame retardant fabrics within our range. 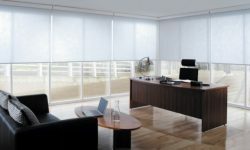 For a Total Blackout system we offer a SHY zip screen which can be operated either manually or electrically via remote control. A full range of commercial and domestic Venetian Blinds are available in metal or wood slats with sizes from 16mm, 25mm, 35mm and 50mm. 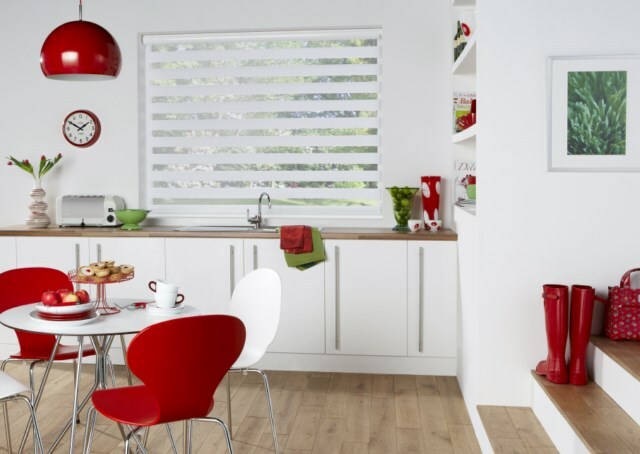 We have a vast range of sample slats for all applications. 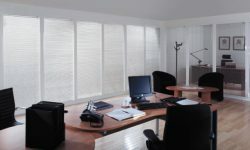 All Venetian Blinds are made to measure. 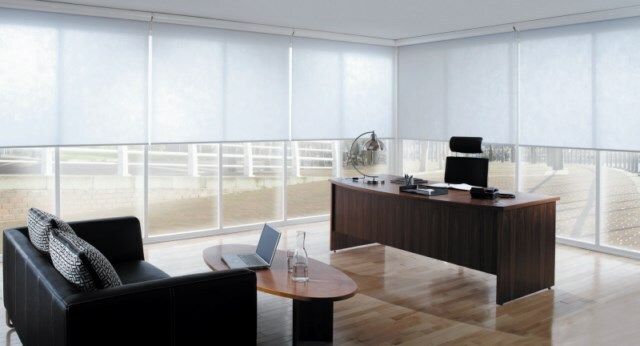 We have the facility to offer digitally printed pictures or logos onto the majority of our Roller Blind fabrics. 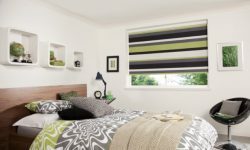 All we require is a high quality jpeg picture of your image and this will be printed onto your custom made Roller Blind. 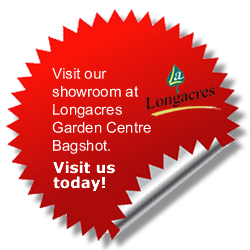 Ideas range from brightly coloured pictures for your nursery to information and logo’s for your shop windows. 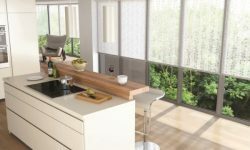 A unique system that allows the blind to be installed perfectly in double glazed sealed units. 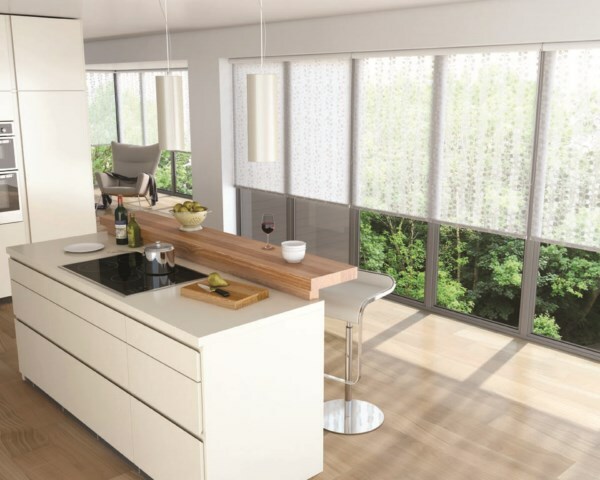 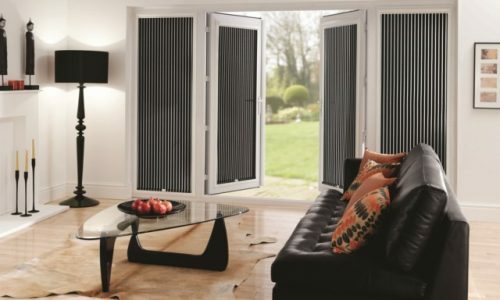 It allows the blind to become an integrated part of your windows and doors allowing total movement with opening. 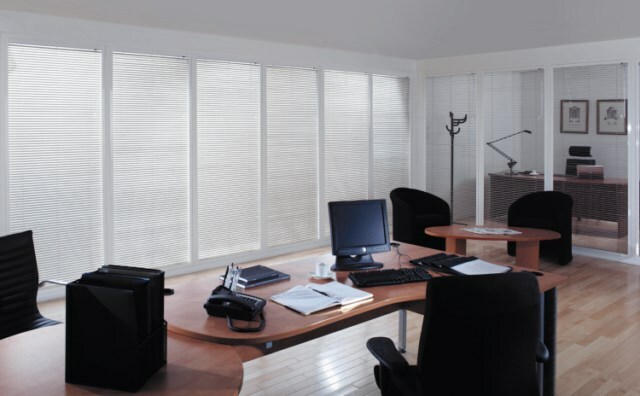 These Perfect Fit blinds are custom made to your window. 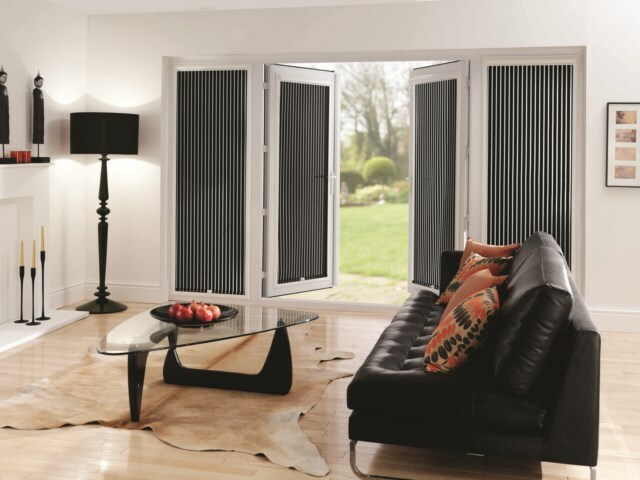 There is no drilling or screws so your Conservatory warranty will be protected. 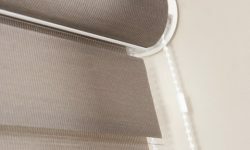 They are easy to fit and remove for cleaning. 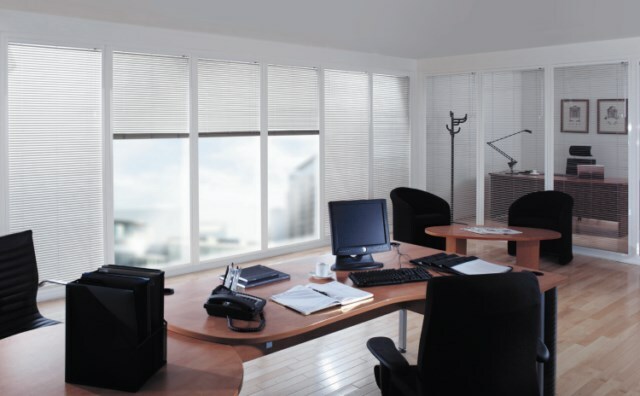 Contact us with your window sizes for an estimate or to view sample fabrics and blinds.